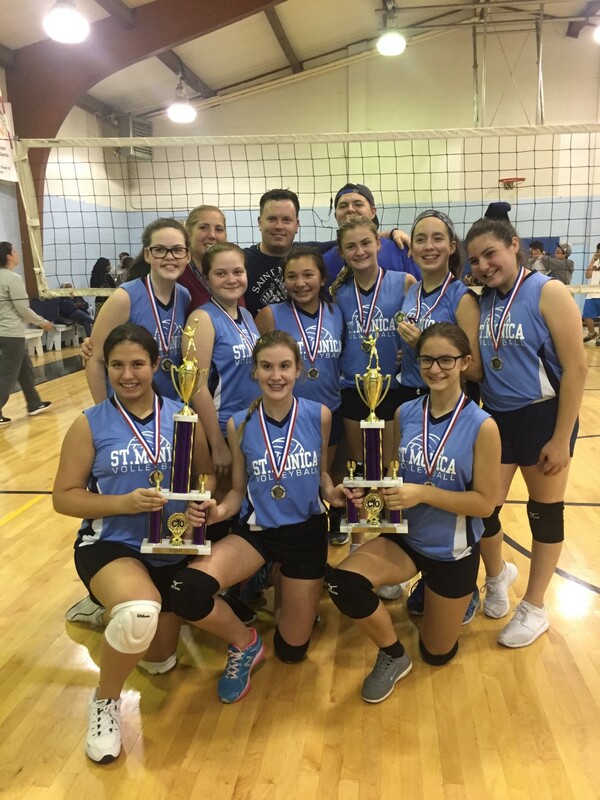 St. Monica Lady Wildcats volleyball team won the Region 6 Catholic Youth Organization championship The against St Anthony’s last week at the Shot Tower Rec Center. Noelle Minniti, Hannah Schwartz, Dea Shini, Kelly Chellew, Dortea Corasanite, Vienna D’Aponte, Rebecca Fanelli, Sophia Goffredo, Bridget Pooler and Brynne Tomaszewski each played a role in the winning effort. The squad was coached by John O’Brien, Beth Coleman and Michael Wadley.